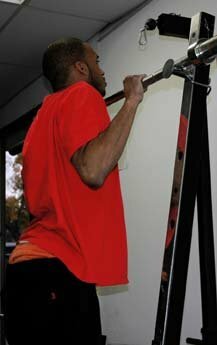 New Age Isometric Training - Cutting Edge Or Bull? Lately I've been getting a lot of questions about isometric training. People have been asking me what I think about extended duration isometrics. For those who don't know, isometric training is a topic that seems to re-emerge with new vibrancy about every 10 or so years. From what I understand, lately, Jay Schroeder seems to be a man largely responsible for this re-emergence in the strength and conditioning community. In a magazine article he stated he has guys do up to 3 min isometric holds in a Bulg (bulgarian) split squat position, 5 min in a push up hold position, or 3 min in a perfect full squat position. This sounds simple enough but supposedly he also claims to have people holding 225 pounds in the bench press just inches off the chest for 2-or-3 consecutive hours. Oh and by the way, I got some ocean-front property for sale in Arizona! Now he may have been misquoted I don't know. When he said "5 minutes straight" he may have meant "5 minutes total." But anyway, let's talk about isometric training. There are 2 types of Iso's. The first is yielding iso's where you hold a load and as fatigue sets in the load forces you into an eccentric contraction. Yielding iso's are generally performed by "lowering and holding." The other form of isometric training is an overcoming isometric, where you press again an immoveable object. I much prefer yielding iso's as the level of tension created is easier to monitor. In addition, overcoming iso's tend to stress the joints differently and put significant stress on the connective tissues. 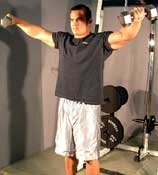 Example: Get in a door frame and "Push" against the frame and then hold 2 dumbbells in dumbbell lateral fashion, same position and note the differences. For those reasons I don't use overcoming isometrics much at all. OK, now one of the problems is most of the research is on overcoming iso's. That means we have to do a lot of experimentation with yielding iso's to see what we can gain from them and also use indirect research to support our opinions. Here's what I've found. 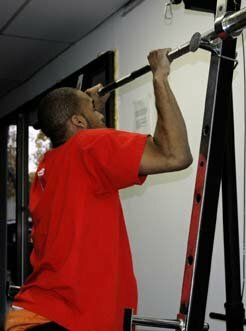 Most beginners don't lift properly, they bounce up and down and all around. Iso's are a no-brainer allowing them to get into the right position, work the correct movement patterns and train the correct muscles. 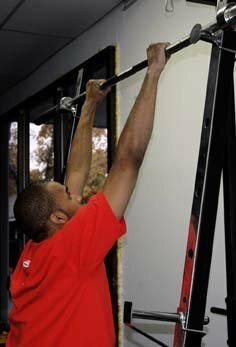 Some of the first exercises I have beginners perform are isometric pull-ups and isometric dips for up to 30 seconds total time per set. We'll often start at the bottom of a dip and hold for as long as possible in one set. Hold The Bottom Position As Long As Possible. Or we'll do 3 holds in one set. 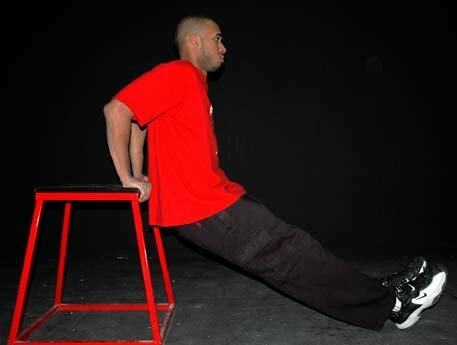 Hold the bottom position for up to 10 seconds, then a midpoint position for 10 seconds, and the top position for 10 seconds. Iso's take stress off the connective tissues which is why they're of use in the rehab setting. For a given load an isometric contraction recruits more motor units then either an eccentric or concentric. 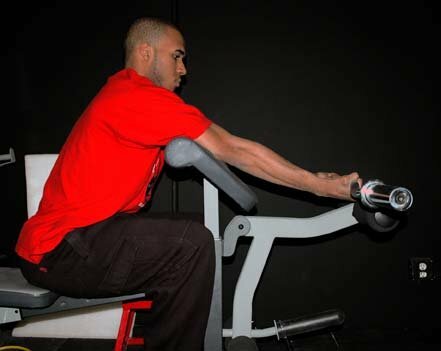 An isometric contraction allows you to isolate the "muscle" while taking the tendons out of the movement. In other words, you get rid of the plyometric effect. Stretch range iso's are great for flexibility. To perform a stretch-range isometric you simply take a load and lower it into the weakest joint angle of a movement pattern. In a squat this would be just below the parallel position. (Get in a deep bodyweight Bulgarian split squat position and hold for a minute and you'll see what I mean). Squat Stretch, Just Below Parallel Position. The duration of tension is important for muscle growth stimulation (although the magnitude of tension is the primary factor for strength, hypertrophy or most other positive training related effects). Yielding isometrics, in the stretch range, shorter then 10 seconds with heavy loads, are wonderful for strength and carry over well into full range strength. In other words, if you increase the weight you can lift at the bottom of a squat, you will increase the weight you can lift at the top of a squat. If you increase the weight you lift at the bottom of a bench press, you'll also increase the weight at the top. Yielding iso's between 10-and-30 seconds are decent for hypertrophy, depending on the muscle group involved. Flexors respond better to isometric training then extensors probably due to muscle fiber type differences. (To quickly determine which is which think of joint angle. A flexor narrows the joint space and an extensor increases it. Therefore biceps = flexor, triceps = extensor. First, do an isometric glute ham raise at the midpoint and hold as long as possible. Next, do an isometric bicep preacher curl and hold for 30-60 seconds. 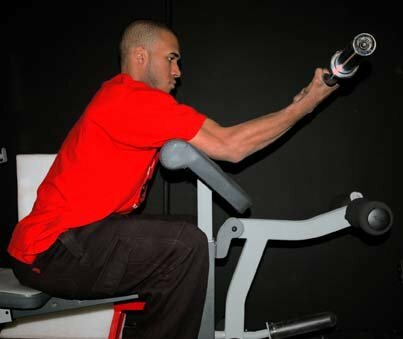 After you do those 2 movements you'll realize just how effective yielding isometrics can be for muscular stimulation. Isolation movements can be useful to train for longer duration isometrics (30-60 seconds), but not excessively long. Unless we're talking about flexibility, most compound movements should be trained with shorter duration isometric contractions or not at all(<15 seconds). An exercise like a squat or a lunge, for example, does not respond well to longer iso's because of the holistic nature of the movement. 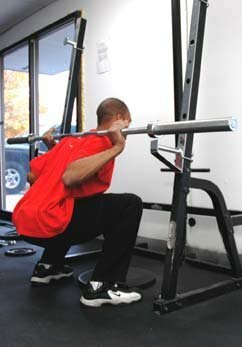 If one wants to train squats in isometric fashion with more tension time it is appropriate to perform "combination reps." An example of a combination rep would be lowering down into a 5 second hold at around parallel, then coming up completing a repetition and repeating that series for 3-5 reps per set. 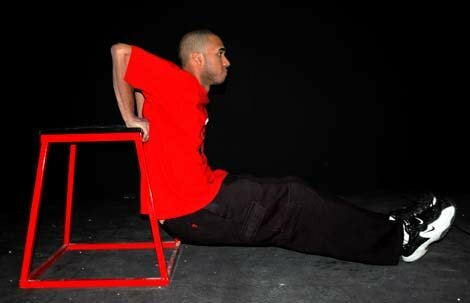 For flexibility purposes, compound movements using longer duration isometric contractions (~1 minute) can serve as an effective tool to increase active flexibility. See the split squat example above. Contractions of longer then 1 minute serve no useful purpose for strength or hypertrophy stimulation, except for perhaps increasing mental toughness. For the same reason that bodybuilders don't develop monstrous shoulders by performing the marine punishment drill where you go out and run around for 5 miles holding a gun above your head, athletes aren't going to develop mind boggling strength and explosiveness by performing 10 minute push-up and squat holds. To understand why, realize that a certain magnitude of tension in the muscle is necessary to provide a stimulus necessary to increase strength and break down muscle tissue. As noted in the research, a man can hold a 50% maximum load for one minute and a woman for 3 minutes. That means that for any given movement the average man will be able to hold 50% of his maximum for one minute. This same research will tell you that the minimal threshold of tension required to stimulate strength and hypertrophy gains is around 70% load, except in the rank beginners. That means in order to increase strength you should use at least a 70% load; strength actually responds better to loads in the 80-90% range. Long duration iso's simply are not heavy enough to provide the positive strength and hypertrophy benefits the athlete is after. What will happen is you will hold a 3-5 minute contraction and it will hurt like heck when you're doing it, due to occlusion and build-up of metabolic byproducts. In medicine, the term is often used to refer to blood vessels, arteries or veins which have become totally blocked to any blood flow. However, 3 minutes later you won't feel like you've done a thing. No muscle growth will be stimulated and no strength will be gained. It's better to save your time, use a more appropriate load and a shorter duration contraction. That about sums up my take on the subject. I encourage you to either follow my advice or experiment with the training yourself and come to your own conclusions.